Can you believe that summer is right around the corner? I’m so excited about it—no more math!!! I don’t want to just sit around and waste those wonderful two months off though, so I made a list of crazy-fun things to do. 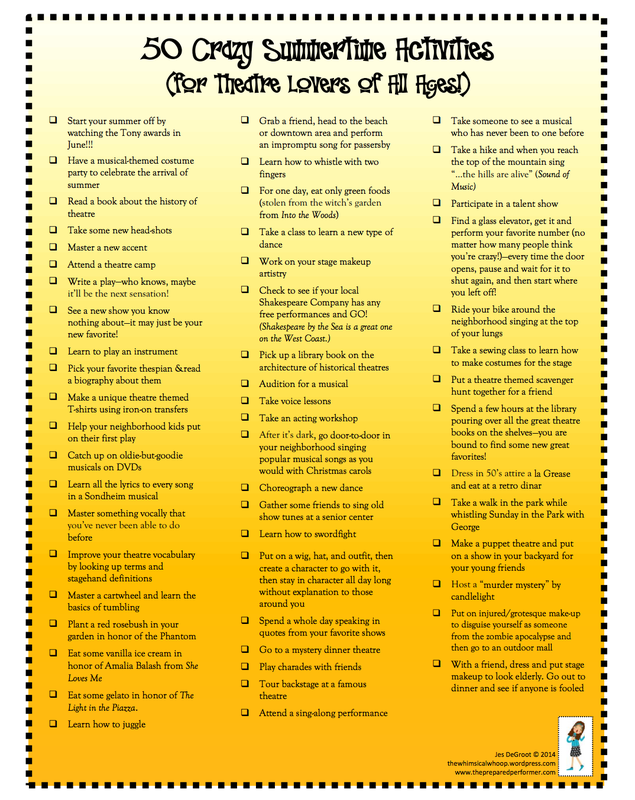 I’m going to use it as my list of summer goals—of course I will not be able to do all 50, but hey, a girl can try, right?! Why don’t you join me on my summer theatre adventure doing crazy stuff? It’s all listed below or by clicking here – 50 Crazy Summertime Activities for Theatre Lovers. I cannot wait to hear what crazy experiences and wild antics you get yourself into over the summer! !